I’m an American with eight years of experience in video production, but today I'm a student in Amsterdam, thinking a lot about mediums, the Media, technology, and humans & machines communicating in their specific, special ways. I'm finding methods to give these thoughts a space of their own. 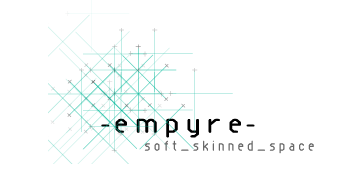 This month on -empyre-, a forum that facilitates critical perspectives on contemporary cross-disciplinary issues, practices and events in networked media, you’ll find a collaborative discussion unfolding about seismic shifts shaking up the publishing industry. Conversations so far have spanned the mutating definition of the book, printing for multiple screens, e-book piracy, alternative print economies, FLOSS designs, and the book as a sociopolitical event. It’s a rich conversation; check out the archive to read about AAAARG‘s fate courtesy of founder Sean Dockray, or Katherine Hayles‘ observations yesterday on the way readers interact with print versus digital text and the challenges of scholarly publishers to navigate these new trends. Gary Hall, author of Digitize this Book! will be joining next week. You can visit the forum as well as sign up for the list here. “How can the book find an adequate outside with which to assemble in heterogeneity, rather than a world to reproduce?” -Deleuze and Guattari. Despite the recent hype around ebooks, the future of publishing remains uncertain. The growth in markets for electronic distribution has resulted in a messy and highly competitive ecology of digital rights management systems, conflicting file formats and devices, and an online book market driven by new players such as Google and Apple. Meanwhile, pirate networks for ‘liberated knowledge’ have opened other avenues for delivering content (whether legal or not), while the open access movement has increasingly consolidated as a legitimate alternative to corporate publishers. These are the realities of media convergence as perpetual crisis, or at least an ongoing entanglement of interests, and a situation full of potential for the future of the book. This month on -empyre-, we invite a general discussion on the topic of publishing in convergence. Against a background of economic transition, what possibilities currently exist for advancing and scaling new models for writing, collaborating, distributing, reading and interpreting knowledge? What potential affordances can be extended to style, format, design, and dynamic content? Are there novel architectures allowing collective authorship, including the mediation of presence? How could ‘networked book’ experiments shift from being a novelty toward an accepted genre of publication? Is it possible to overcome peer review? How can the production of theory, educational resources, art and literature evolve? « Google, Buzz off! A reflection..